I love weddings…and with the event come wedding scrapbook layouts. Weddings are not only wonderfully happy moments for the bride and groom, but they are layouts waiting to be created. As you would expect, the possibilities are virtually endless, but there's also more to wedding scrapbook layouts than white paper and lace. So, I've created our own list of some traditional, and some not so traditional, wedding moments that you can put in a scrapbook. Since, while the actual ceremony may only last 30 minutes to an hour, there are countless activities that place before and after. I have a friend to thank for this idea, as they did a large version of this for their wedding, and it's what I like to call my "Signature Sheet". 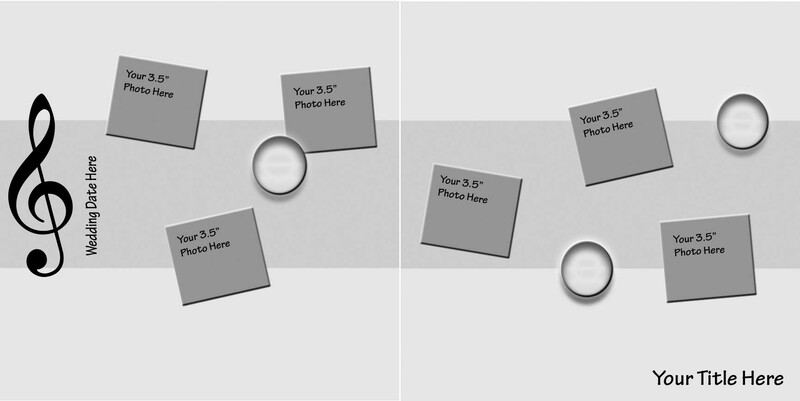 You basically take a 12" x 12" sheet of cardstock (or patterned paper depending on the event) and overlay a signature mat of a light colored cardstock. 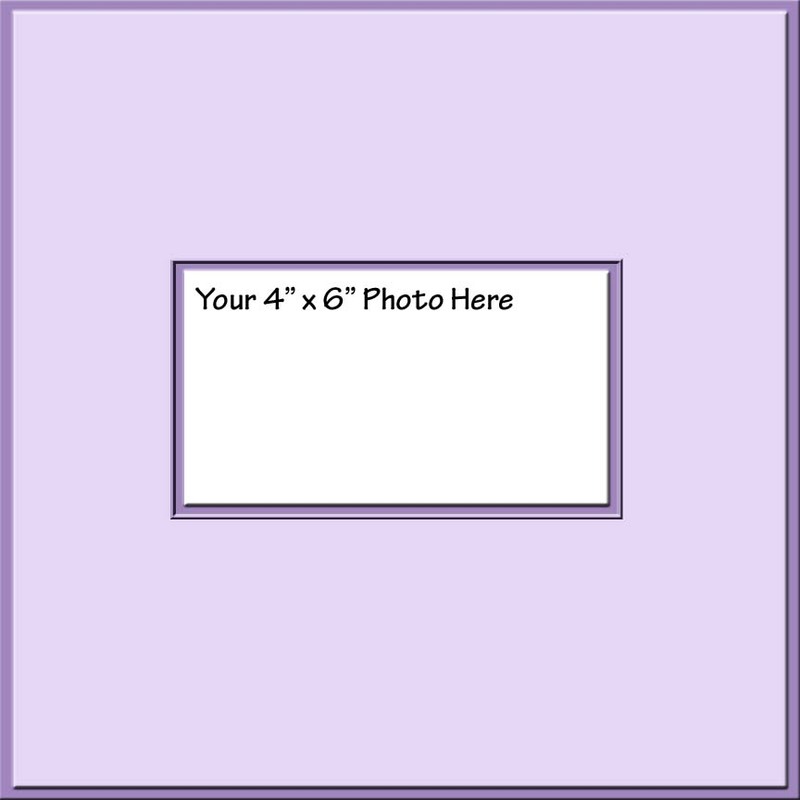 The signature mat has a rectangle cut out of the middle that allows for a 4" x 6" picture. The purpose of the signature mat, as you can imagine, is for guests to send their well wishes to the bride. Then, instead of a bulky guest book that gets relegated to a shelf or box, she can include it in her wedding scrapbook album. You can even turn this single-page layout into a two-page spread by adding a page that features the people who attended the event. If you plan on doing this, make sure to get "head shots" of all your guests. The bride's attire is selected and designed with meticulous detail. From the dress and the shoes to the veil and jewelry, every bride goes to great lengths to make sure every aspect is just right. So, why not create a wedding scrapbook layout featuring these items? Dress… For ideas on how to create a layout that makes your dress shine, check out our article on prom scrapbook layouts. Journaling Ideas – What were the reasons behind your dress selection? Was it the style…the fabric…the color (that's right…were you daring enough to wear a dress that was more than just bright white à la Gwen Stefani)? Have you always dreamed of having a Cinderella-like ball gown (or it antithesis)? Did your Mom make your dress? Shoes… Are you a sucker for a four-inch heel or do you prefer to lie low with ballet slippers, flip flops or sneakers? Is there a funny story about how you came about your wedding shoes? For example, I had a picture of "the" shoes in my head – not too high, not too low, sling backs with an elegant look, but she couldn't find them anywhere. I found a suitable substitute while surfing the web and set out to find them. Yet, while looking for bridesmaids dresses at a small boutique, they appeared…"the" shoes. I purchased them on the spot without regard to the ones I was looking for from the internet. It wasn't until I was driving home and the print out of the webpage with the "substitute" shoes appeared did I realize what had happened. You can spend a fortune on shoes that most people won't even see, so make sure to pull up your skirt a little and show them off, or at least get a picture of them when your poor feet have had enough! 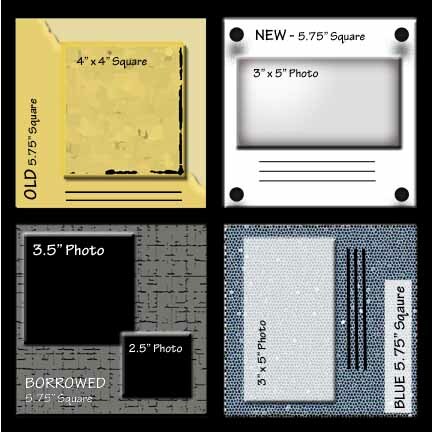 In the same vein, you could create a 12" x 12" wedding scrapbook layout based on the old adage of "Something old, something new, something borrowed, something blue…" For each quadrant in the sketch, tailor the square to the adjective of the object its describing (old – aged quadrant, new – modern, etc.). You spend your wedding day surrounded by your family and friends. Some of your best friends and closest family members play a special role as part of the wedding party, so why not create a layout around them? 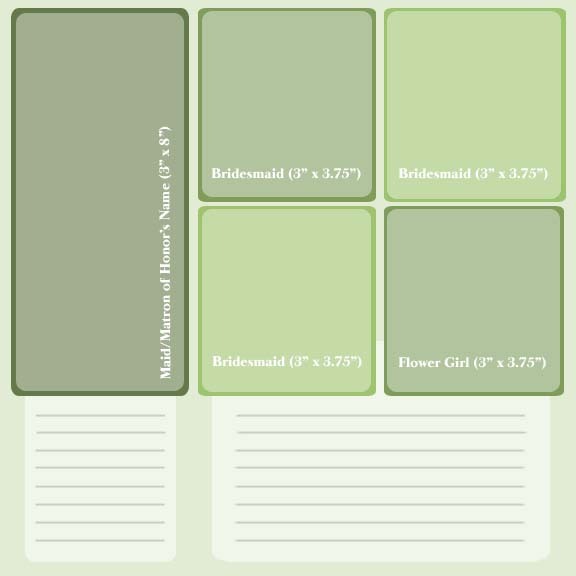 Make the background of bride's attendants page the same color as their dress and use monochromatic variations for the other scrapbook elements (recommend white or the lightest monochromatic tint for the journaling mat). For the groom's attendants, make the background black and use the same color that you used to match the bride's attendant's dresses for the scrapbook elements (example below is a 12" x 12" two-page layout). For another version of the layout that accommodates more attendants, click here. Journaling Reminder… Don't forget to mention who each person is and how you know them (best friend since grade school, cousin, etc.). In the words of Richard Ashcroft, "Music is Power", and whether you realize it or not, it plays a pivotal role in the day's festivities. You selected a specific song for the father-daughter dance for a reason, why not make a scrapbook layout featuring the "soundtrack" of your wedding (example below is a 12" x 12" two-page layout)? Where possible, I like to have our layout mimic the topic (it's not the norm, but I like to offer you ideas from different perspectives), and in this case, the sketch below is meant to replicate a musical staff where the pictures are the "music notes" and the time signature is the date of the wedding. The six pictures represent the processional, recessional, first dance, father-daughter dance, mother-son dance and a picture of people dancing at the reception (e.g., The Electric Slide – if that's your thing). 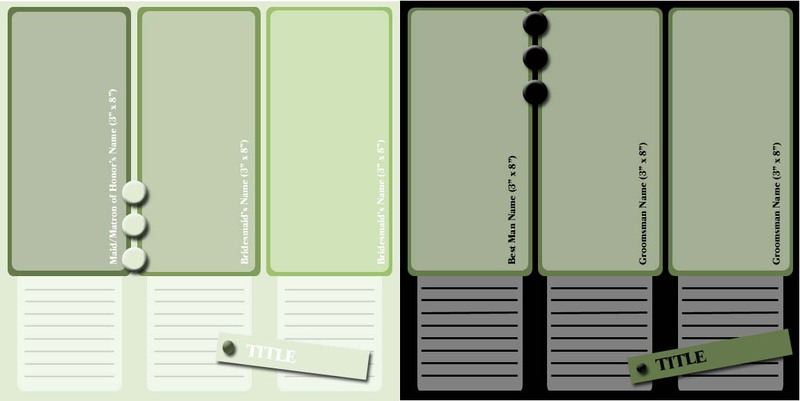 The wide stripe through the middle of the page can either be a direct replica of a musical staff (black stripes – about .5" wide) or keep the stripe intact and use patterned paper or a transparency overlay. There are so many beautiful patterned papers available with a music theme!